I've been a die-hard hold-out against giving up my paper books for a long time. 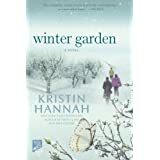 Last year, while on a trip in the Balkans (flying Ryanair which means I could only bring one book due to the extremely stringent weight restrictions) I was stuck with a book I did not like and not much else to do but read since I grossly over-estimated the size of the places I was visiting. Had I liked the book I would have easily finished it in two days. Since I didn't, it somehow managed to last me almost the entire trip. At dinner one night in Croatia I saw another traveler with an e-reader and I was jealous. She probably had lots of books on that thing, that thing that weighed no more than my one book, from which to choose and there I was stuck with a dud that I had to ration in order not to run out of reading material (even bad reading material) too soon. My little brother got me a Kindle last year for solstice. My recent trip back to the Netherlands was the perfect time to try it out (I hadn't used it really, up until then, because I have a lot of paper books waiting to be read). About a week before my departure I finally made it to the local library and joined. The librarian assured me that downloading e-books from the country library website was easy. Two days before leaving I logged onto the site. It was not easy. It turns out I had to first get some other program that would allow me to download the books. Then I actually had to find books that were available. 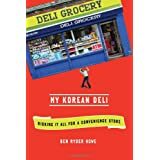 Many of the books I wanted to read either weren't available in e-book format or the e-books were all checked out (I didn't even know there was a limit on how many electronic copies could be checked out). 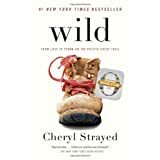 Wild, by Cheryl Strayed, about her adventure hiking the Pacific Crest Trail alone. 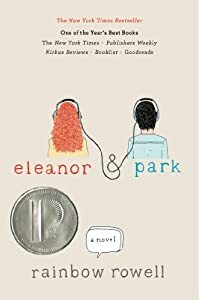 Eleanor & Park by Rainbow Rowell which I had recently heard about from Angie. I loved it! 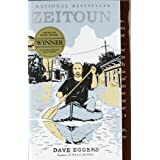 Zeitoun, by Dave Eggers, about one family's experience with hurricane Katrina (that's a gross simplification if I've ever written one!). I didn't want to like the e-reader but I do. I'm not using it here at home as I still have plenty of dead trees to read but I'm going out of town for work and will be searching the online library for books to take along. 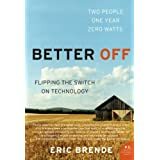 I'm not a Luddite but I do crave a life with less technology and I found his experimental life one that, while maybe not entirely, I'd like to adopt.